Big data, machine learning, and artificial intelligence are slowly making their way into the healthcare industry with great results. EMR/EHRs software providers are always seeking improvements. However, without accurate data capture, building or integrating these tools will not prevent errors that result in costly claim rejections and even patient deaths due to misidentification. It is essential to avoid mistakes from the beginning of the process at patient registration. The average duplication rate in a healthcare organization’s medical records is between 8 and 12 percent, according to the American Health Information Management Association. Duplicate records can create havoc such as mixing up patient identities, inability to track patient history, and extending the revenue cycle with issues such as claim rejections. Clean records are essential not only for efficiency, but also for implementing new technologies effectively. Accurate data prepares records for the next stages of patient identity management such as blockchain. One of Acuant’s partners is at the forefront of technologies that create efficient and user-friendly patient registration while providing clean and accurate data. Clearwave offers self-service check-in registration kiosks that help healthcare providers standardize and automate administrative and patient-facing processes. This creates a workflow that puts control of information in the patient’s hands and is an effective way to streamline the registration process. However, the intake process still had the issue of human errors such as typos or inputting insurance information incorrectly. Mistyped insurance member IDs were the most common error, which lead to significant problems. Acuant partnered with Clearwave to implement intelligent data capture for government IDs and medical insurance cards that is powered by machine learning. The technology quickly and accurately reads a patient’s ID and insurance card and auto-populates the information into Clearwave’s registration software. Clearwave kiosks now process as many as 625,000 records a month, with charts being prepared an average of 9 minutes ahead of appointments. Capturing accurate patient information helps to create a more frictionless, positive patient experience. Patients now account for 30% of healthcare revenue. As more patients become significant payers, the demand for transparency will continue to increase. Medical record errors, medication mistakes, claim rejections, and clunky software interfaces can create lasting negative impressions and cause patients to seek care elsewhere. While Health IT is moving rapidly and in exciting spaces, the importance of having clean data from the start cannot be stressed enough. Good data is the foundation for IT innovation. 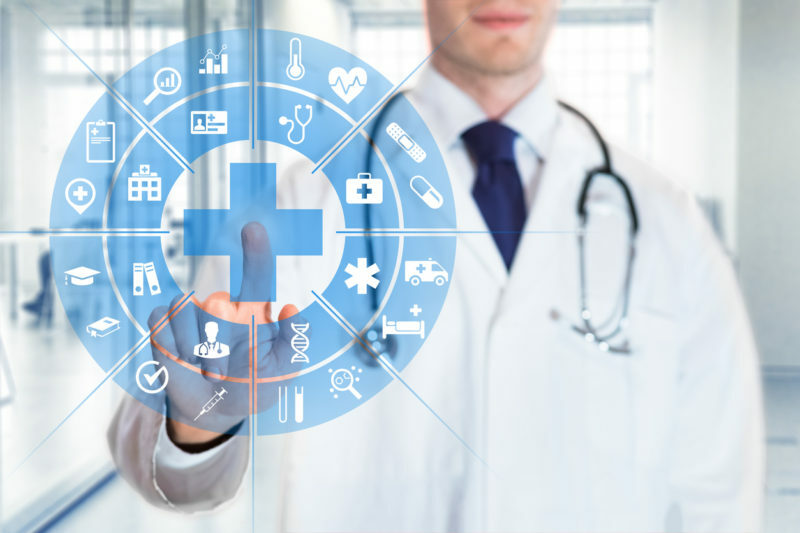 Acuant has over 20 years of experience as a technology partner for healthcare and other industries, creating data capture and ID verification solutions. Talk to an ID Solutions Specialist and find out how your organization can transform patient registration and front-office workflows.